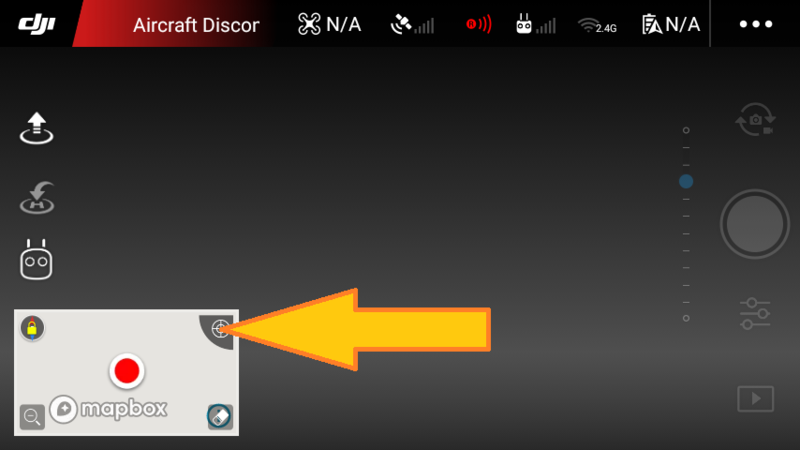 Just a short video how to use that compass thing bottem left GoApp. My pleasure, hope that &apos;newbies&apos; can learn from it. I see too many drone flyers who start their flights with ; overwater flights, under bridges flying, between high bulidings etc etc. IMO the first need is to learn how the drone is working, all the modes, warnings on the screen (what do they mean and how do i react on that) etc etc. I tryed to get that compass but where do i get it from? I have the map viewer there at the moment,not the compass. 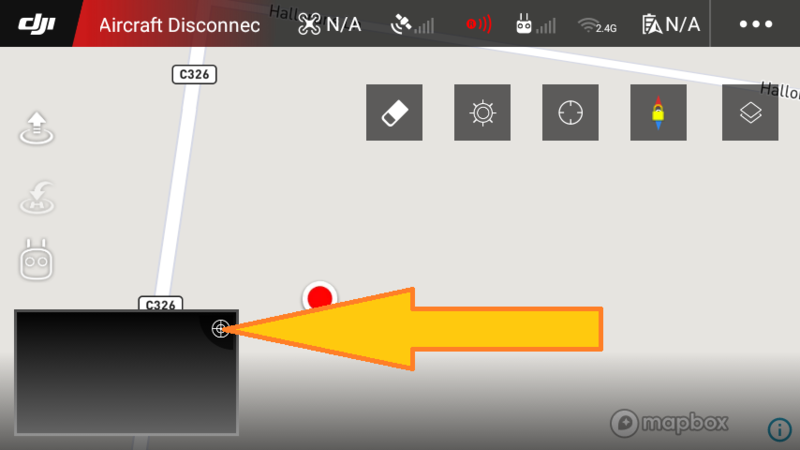 Touch the icon, top right of the small map/camera window. Great little tutorial. Very useful to us newbies. 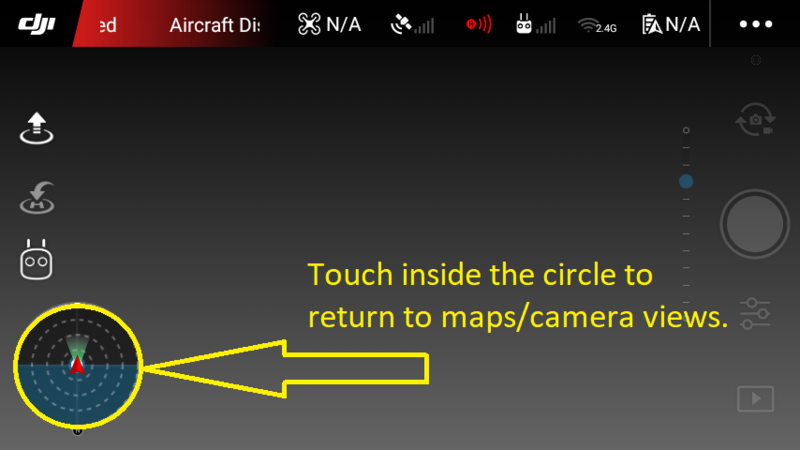 My Go4 app is set to the map by default so its handy to know how to toggle between the two options too. Great info, it&apos;s helpful, thanks for sharing the video with us! That&apos;s a good tutorial, JJB. Thank you! So your first flight should not be downwind over water to see how far it can go? And yes good video JJB, and I always check the compass when I’m flying, to make sure that I’m pointing right at the drone. Good to know! I had been using it intuitively, but your more rigorous treatment brought home to me the full potential of the compass. Perhaps your next one could be on the map and how to use it to do a manual return to home? Thanks for a very useful video. Great job. Informative and easily understood. Thanks. Only just came across this video very informative thank you jjbSpark for making it. Great information. Beautiful country and video. Very helpful. You mentioned not to fly in your own wind when descending but didn’t DJI correct this problem by the displacement of the motors bringing then turned slightly so not to cause vortex ring state ? Or can it still happen because of the movement of wind speed and direction of natural wind ? Thank you so much. I just listen to my drone and hear a difference when descending flying in my own wind (plus watch its stability) or descend with forward speed. And yes, its al in areodynamics , is it possible for a drone to get into a kind of settling with power situation? probably not but imo better safe than sorry. Will not come up on my computer, dang? Ok, if you look at the motors, none of them are exactly straight up and down.The motors are at a slight angle from their axes. Look at them close and let me know what you think. I didn’t notice this myself until someone told me about it. It’s also like this on my p3p and I was told it’s because of vortex ring state. yes, i know. But still possible to fly in your own down-wash when descending. geen dank, van origine Nederlands? You can definitely hear and see a difference flying straight down versus moving forward and descending. I have found that if the drone is above me, the fastest descent is with the left control stick full 4-5 or 7-8 o&apos;clock and some forward right control stick. The motors have to be tilted to get the drone to move in different directions. They are all tilted outward from the center axis of the drone...to move in a certain direction the motors on the side in the direction you want to move speed up faster than the motors on the opposite side...they then pull the drone in the direction you want to go. If the motors were perfectly vertical, you&apos;d never be able to move laterally. If I&apos;m wrong about this, someone let me know. Interesting. If the engine were perfectly vertical and let`s say the two left rotors are spinning at lower rpm...that side will drop so the resulting vertical lift will change too, resulting in 1 vertical component and 1 side component. Thus AC moves left. Same for all other 359 directions. Very nice and informative video. I really like the extra tip on avoiding prop wash. There is a little bit more to all this but I highly doubt average DJI consumer would be bothered by terms like "retreating blade stall" or "vortex ring state". i know, my own worst experience was flying in a helicopter backwards at low alt above water into a our own faulty wind....f*ck, had my emergency air bottle ready for use, real close to a disaster! Excellent, thank you, I knew there was more to that little gizmo in the corner of the screen.